Today’s wedding was seriously full of fun, from the live band, Stir Father, at the reception to the SLO Mama Sweets ice cream truck for dessert! We so wish we could have been there! The bride and groom started their day getting ready at The Santa Barbara Inn and then were picked up by Jump on the School Bus to be driven to the ceremony and reception site, Santa Barbara Historical Museum. The outdoor ceremony was complimented by the rustic chairs chosen for the guests’ seating. The bride and her bridesmaids carried beautiful florals by Cody Floral Design, whose lovely work was also seen as centerpieces of the reception tables. 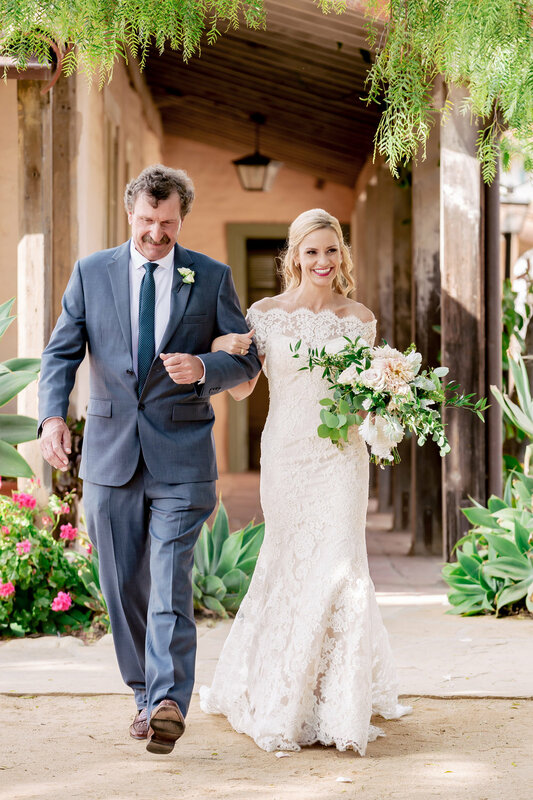 All of this gorgeous summer wedding was planned by Events by M and M and photographed by the talented Rewind Photography.